The words ‘Southern Region diesel locomotive’ are, in some circles, all too quickly abbreviated to BRC&W ‘Crompton’. However, this is to simplify matters greatly and ignores a fascinating chapter in railway history. Whilst it is true that the BRC&W Type 3 (Class 33) was created as a bespoke diesel design for the SR, it is often overlooked that the BR/Sulzer ‘Derby’ Type 2s (Class 24) played an incredibly important pioneering role in the modernisation of this part of the railway network. Although the famous 1955 British Transport Commission ‘Modernisation Plan’ is chiefly remembered for initiating the transition from steam to diesel on the railway, it also contained plans for several major electrification schemes – one of which was the Southern Region’s Kent Coast third rail project. Approved just a year later, the work was divided into two phases with the aim of full completion by June 1962. Alongside this, the Region still had a significant requirement for diesel traction, which would be principally engaged on freight duties as well as passenger work over non-electrified routes. Although steam was to eke out a living until July 1967, a marker had been put down and the winding-down of this form of motive power had begun in earnest. The Class 33s had been ordered in December 1957 specifically for this role, but it was not until 1960 that the first locomotive entered service and full acceptance would take an additional six months. The delivery of the entire fleet was not completed until May 1962. Even a cursory examination of the timeline reveals that conventional haulage remained a significant requirement, as the electrification programme was still a long way off completion. In early 1959 – with steam set to be phased-out, and the Type 3s yet to begin delivery from Smethwick Works – a fleet of 15 almost new ‘pilot scheme’ 1,160hp boiler-fitted Class 24s were commandeered from the London Midland Region and placed immediately on loan to the Southern. Their provision, officially described as for ‘crew training and practical experience on diesels’, solved the immediate problem. They were sent to Hither Green depot, in South East London, which had already a level of familiarity with the new form of motive power through the introduction of diesel shunting types. Heavy repairs and overhauls were to be undertaken at Eastleigh Works. * One side only on D5018 & D5019 (which were on different sides). No. D5006, with the split type of radiator grille, stands at New Romney & Littlestone-on-Sea station after arrival at the terminus (and interchange with the narrow gauge RH&DR) with a three-coach train from Ashford on August 24th, 1961. The Type 2s worked the line from the withdrawal of steam to the introduction of DEMUs. 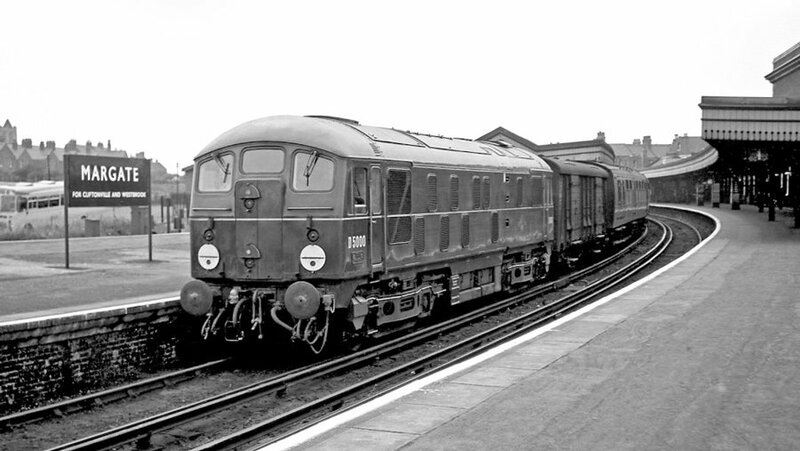 The branch from Appledore closed to passengers in 1967 with the section to Lydd remaining open for freight, most notably nuclear traffic from Dungeness. 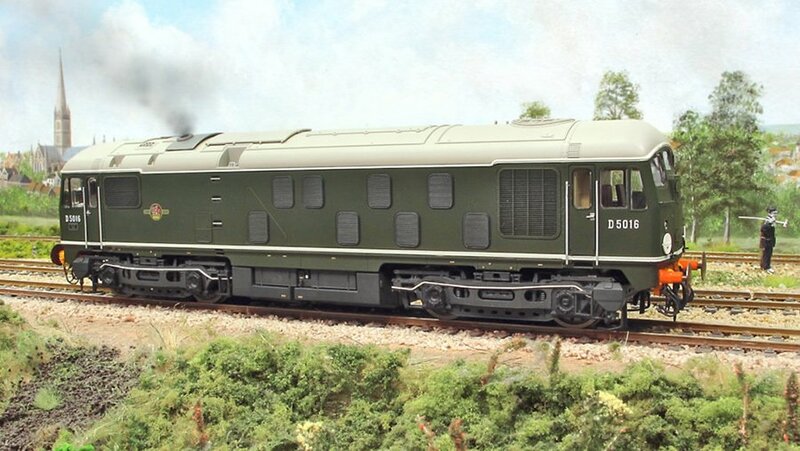 The branch would make an ideal basis for a model railway, using SLW locos of course! Photo: Rail-online collection. The BR/Sulzer Type 2s were still regarded as state of the art in 1962 as this front cover of the May issue of Modern Railways shows, featuring a paid for Sulzer endorsement. No. D5005, by now having lost its split grille, is crossing the River Tillingham alongside to Rye’s well known smock mill landmark. It is powering the 12.09 Hastings–Ashford on January 29th of that same year. The use of the Derby Type 2s ‘down south’ was not without its problems. Like a number of other early diesel types, they were found to be much heavier than specified. An overweight axle loading resulting from a five ton excess was an initial concern for the SR Civil Engineer, leading to the type being banned from certain routes. As a direct result D5004/5 visited Eastleigh Works in February 1959 for weight reduction investigation. The easiest solution was to remove the train heating boiler and boiler water tanks; a modification subsequently completed on D5002 to D5006. This made the locos more versatile in terms of route availability, although the boilers were desperately missed that winter. The story turned full circle in late 1960. The brand new Class 33s coming on stream were ahead of their time in that electric train heating supply was provided but compatible coaching stock was somewhat lagging behind! This saw steam-heat fitted locos in demand. The weight restrictions were eased after some bridge strengthening work and the no-heat Class 24s made brief trips back to Crewe South and Derby Works to have their steam generators and water tanks refitted. Once back south, the ‘BTHs’ (as they were called by SR men) often worked in multiple with the new Type 3s acting as necessary but wasteful mobile boilers during the winter of 1960/1. 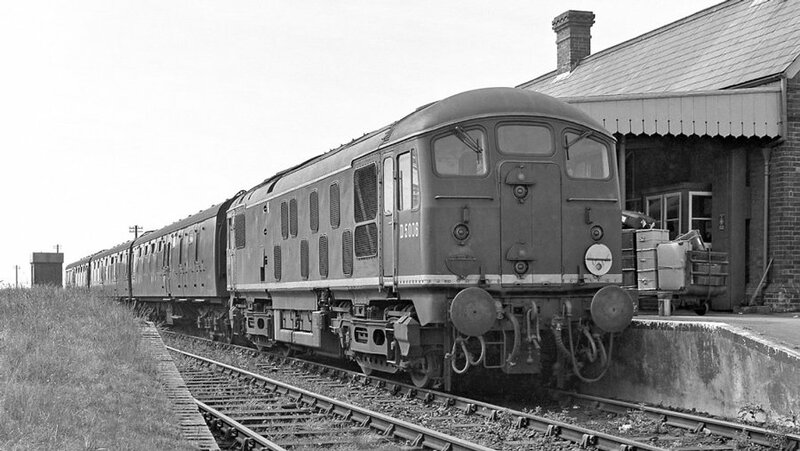 Despite the teething troubles (it must be remembered they were, in effect, acting as pathfinders for the introduction of new diesels) the Class 24s were generally reliable and they each racked up annual travel of just under 40,000 miles during the period under review. That is actually something of an accolade for the new tech machines that had to co-exist in a steam environment where fitters were more familiar with a lump hammer than an Avometer. Most failures, as was to continue into the 1970s, were as a result of steam generator problems as opposed to any serious mechanical issues. It is fascinating to record that all but two of the first 20 locomotives saw sustained action on the Southern (including two of our products in D5000 & D5016). D5015 & D5019 (which were never allocated to the SR) were employed on Euston to Northampton/Rugby stopping passenger work from the Winter (November) 1959 timetable but D5016 & D5018 visited the SR for a short period in 1960 as cover whilst other machines were undergoing boiler refitting, repair or overhaul. The earlier move south for D5017 was reported as a direct replacement for D5008 which spent some of 1959 engaged on a series of performance and efficiency tests with a dynamometer car working off Toton depot. In fact, during this entire period, many of locos were recorded back on the Midland for short periods, presumably connected with return visits to their birthplace. D5017’s stay may have been longer than originally intended following the sidelining and repair of D5000 after an accident at Faversham in November, whilst hauling a coal train from Snowdon Colliery. It is all too easy to forget the sheer variety of traffic that the Class 24s powered whilst on their Southern secondment – all of which makes for great modelling justification. A quick look through books and periodicals of the time turns up all sorts of gems. The highlight must be driver training runs propelling the old 1885-built LSWR Directors Saloon DS1, prior to the start of electrified services. D5000, D5001 & D5014 were all used to power high speeds runs that must have been quite hair-raising! The D&C Sulzer Locomotive study is a great start: “On the SR the locos worked all types of duty. They even operated on Continental boat train services from Folkestone and Southampton as well as the famous ‘Golden Arrow’ Pullman. 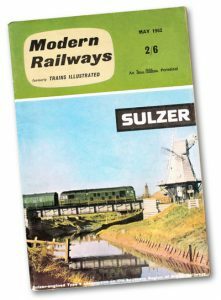 In 1962 they were to be found on Southampton-Nine Elms and inter-regional cross-London freights.” Illustrations range from doubled-headed expresses to branch line pick-up freights as well as practically everything in between! The Whitsun holiday of 1961 saw almost all the SR locos in action with only D5017 left static on shed at Hither Green undergoing periodic examination. 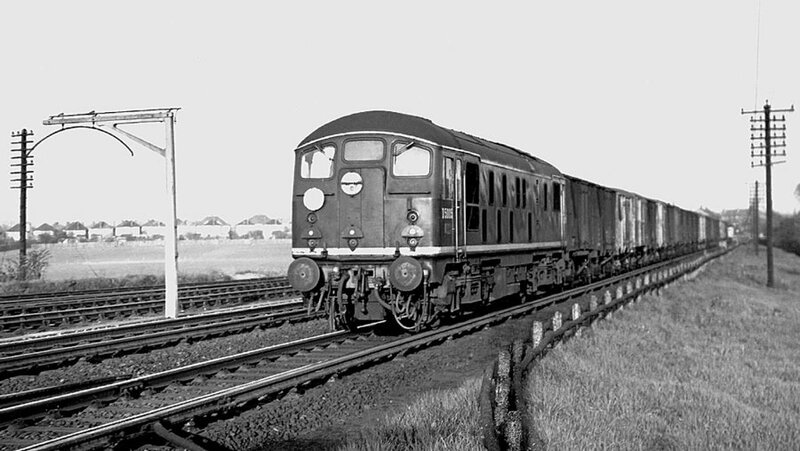 By 1962, just before the locos return to the Midland, it seems that more and more freight was being handled: “Coal trains, usually worked by one or two Type 2s, are running from Tilmanstone Colliery, on the former East Kent Line, to Betteshanger Colliery near Deal, where the coal is washed.” By this time, new DEMUs and Electro-Diesels were also coming on stream and, with the Class 33 in squadron service, a transfer back north beckoned. Recently, there has been a surge of modeling interest in the Southern, supported and partly initiated by a host of new ready-to-run models. It is an interesting exercise to put the ‘forgotten’ pilot scheme Class 24s into the mix. At the very same time, the Class 71 electrics (Hornby) were being introduced and, at the end of the period, just crossed with the first Class 73 EDs (Dapol). All the loaned Class 24s passed through Eastleigh Works at one time or another, leading to some interesting meetings with both steam and modern traction. For instance, on August 9th 1961, the Works hosted its annual Open Day with D3667 & E5008 on display, whilst D5008 & D5009 were under repair in the main workshops. A year earlier, when the Class 24s were making their first visits, the Bulleid Pacifics (Hornby) were still being rebuilt at the Hampshire Works and Adams Radial 4-4-2Ts (Hornby, Oxford) were being overhauled. Steam was still abundant including many notable SR types such as ‘Schools’ (Hornby) C Class (Bachmann) and USA Tanks (Bachmann). Of course, there was plenty of vintage steam-era hauled stock and traditional four-wheeled freight vehicles to put behind the Type 2s as well… I’d be interested to see a list of steam designs and pre-Grouping coaching stock active in the locos’ sphere of operation during the 1959-62 period. Of the six models we have launched so far, two represent pilot scheme machines and both of these can be employed in Southern modelling scenarios. First-built D5000 was unique in being the sole example to carry the plain green livery with thin eggshell blue waist band whilst D5016 is in the more common standard BR green livery but is fitted with the experimental ‘Athermos’ axleboxes. Bachmann has produced D5000 in model form before, but the SLW model (Cat No. 2401) exhibits much greater fidelity and has none of the suspect roof curvature or tooling compromises that featured on the old Modelzone commission. Our rendition has the split-type radiator grille, original exhaust and much more detailed water/fuel tank area whilst also exhibiting the additional high level bodyside grille that was a spotting feature of the earliest locos. D5016 (Cat No. 2403), likewise, offers new detail never before seen on a model. Again, with the correct original exhaust outlet and extra bodyside grille both of which are not to be found on the Bachmann offering, its most notable feature is the large, distinctive, ‘Athermos’ axleboxes that were fitted to the last 10 locos of the first Derby build. Photo-etched stainless steel worksplates are included and the cab front SR headcode brackets are available gratis, on request, when making a purchase.